Unleash the power of Petrified Darkness with 5 exclusive Dark Skylanders characters. 16 new SWAP Force inter-action figures with brand new powers can be swapped about to create 250 unique character combinations which will alter movement and fighting style! Invite friends round for a variety of gameplay modes that sees you working with and against your friends. 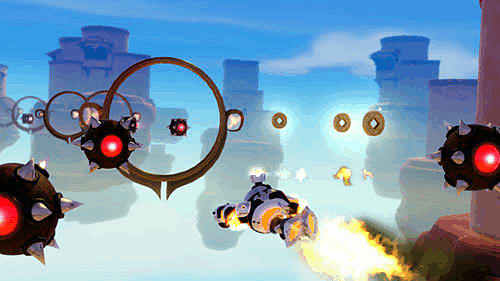 Explore new areas of the Skylands thanks the SWAP Force’s new abilities such as flying, bouncing, digging and teleporting. In Skylanders SWAP Force, Portal Masters embark on an all new adventure in the mysterious Cloudbreak Islands, home to a mystical volcano that erupts every hundred years to replenish the magic in Skylands. During an epic battle, a brave group of Skylanders were caught in the volcano’s eruption, which blasted them apart and sent them to earth. But, the magic of the volcano gave these heroes a remarkable new power - the ability to swap halves – turning them into a special team known as the SWAP Force. Meanwhile, Kaos is back with a new evil plan. And now, Portal Masters everywhere must reassemble the SWAP Force - in their original form or in new combinations - and send them back to Cloudbreak to save Skylands! Dynamic Swapability – Skylanders SWAP Force features 16 new SWAP Force inter-action figures with new powers and a fresh play pattern – dynamic swapability – that lets kids create more than 250 unique character combinations, giving them more choice than ever before over how they fight and move in the game. With each new addition to their Skylanders SWAP Force collection, Portal Masters unlock an exciting world of possibilities. 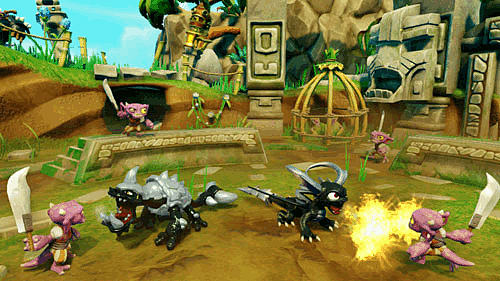 Gameplay Variety – Skylanders SWAP Force delivers a diverse and dynamic, story-driven gameplay experience, filled with adventure, combat, puzzles, mini games, activities, platforming, traps & hazards and drop-in/drop-out co-op play - all set within compelling environments. With each new addition to their SWAP Force collection, Portal Masters unlock exciting new possibilities. Seasoned fans can play Skylanders SWAP Force with their entire collection of 100+ forward compatible characters from Skylanders Spyro’s Adventure and Skylanders Giants. 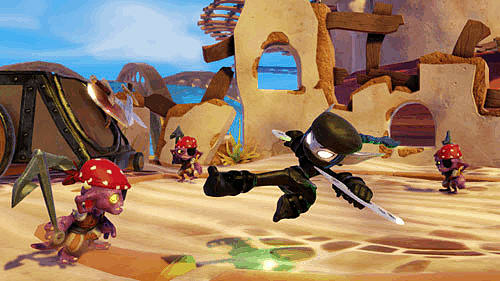 Plus, the level cap has been raised to 20 for all Skylanders characters, including legacy characters. 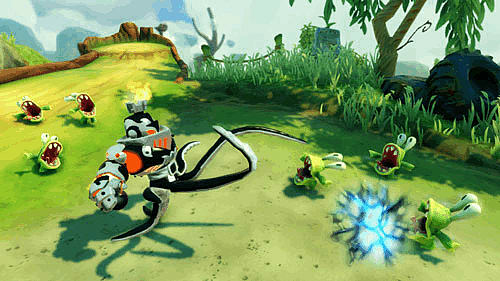 Additionally, based on fan demand, all Skylanders now have the ability to jump. Assortment of Gameplay Modes – Players will be able to experience various Survival and Battle Modes, all featuring vibrant, action-packed arenas and environments where Portal Masters can test the true strength of their Skylanders. 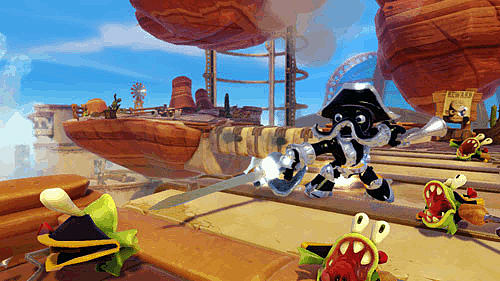 Please Note: Compatibility between Skylanders and Skylanders Giants is still to be confirmed. 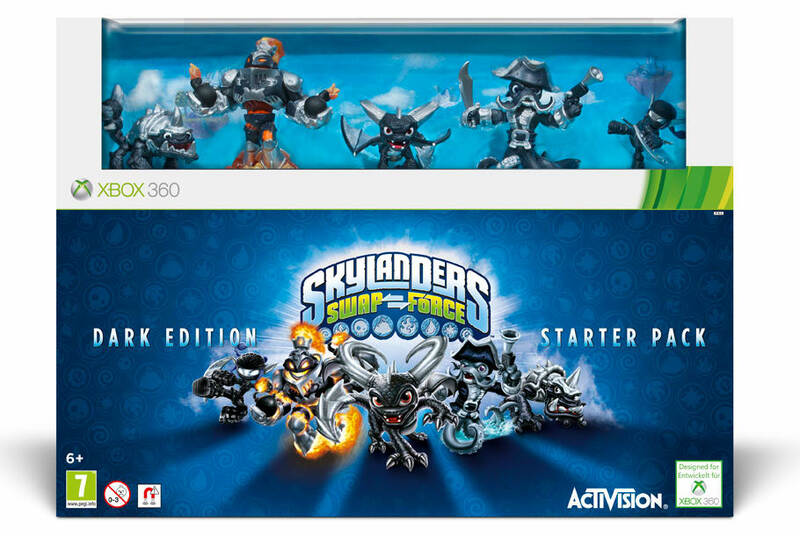 The Unstoppable-and-Swappable Skylanders Swap Force are here! Bring a whole new group of incredible Skylanders to life on the Portal of Power with Skylanders Swap Force Dark Edition, these new characters can be mixed and matched to create incredibly powerful Skylanders to fight the evil forces of Kaos. While on a special mission, a team of Skylanders discovered a secret lair where Kaos was experimenting with a new discovery - Petrified Darkness - which he intended to use to take over all of Skylands! In the fight to stop Kaos, the lair exploded, releasing a cloud of pure Darkness! The Skylanders knew they could not let it escape, so they absorbed the dark energy, transforming them into dark versions of themselves. Fortunately, Spyro had learned to tame the darkness within him long ago. So with his help, these Skylanders now have also learned to control it – combining its power with their own to fight Kaos and the forces of evil.